Investing in the Future: Will Tax Breaks Entice Investors? - Winningback | Shopping and Finance Blog, Reclaim your finances today! Investing in the Future: Will Tax Breaks Entice Investors? Although the last two budgets have introduced changes designed to benefit investors, many are calling for further changes to be enacted in order to make investment opportunities more attractive to potential investors. Whilst new initiatives have increased the advantages available to investors, companies are still finding it difficult to obtain funding. It is essential, therefore, that the Government enacts further changes designed to entice investors and enable companies to secure the funding they require. 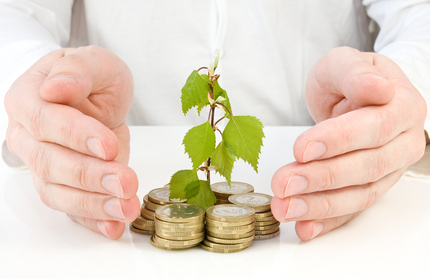 The introduction of the Enterprise Investment Scheme and Venture Capital Trusts has been beneficial for investors, particularly since the changes implemented under the Finance Act 2012 which allowed more businesses to qualify for the schemes. As investors in qualifying businesses can reduce their income tax liability as well as obtain tax breaks on their gains, it benefits them financially if the business qualifies for the scheme. In order to increase the number of investors currently investing in qualifying businesses it would be advantageous if the Government increased the limit for companies raising finance under these schemes from £5million. Similarly, the Seed Enterprise Investment Scheme introduced in 2012, could benefit from changes to its investment limits. Despite offering significant tax relief for investors, the Seed Enterprise Investment Scheme only had applications from 378 businesses for advanced assurance of qualification at the end of September 2012. Currently, the scheme limits individual investments to £100,000 per annum which may deter investors who wish to invest larger amounts and companies who need to obtain significantly more funding. Whilst there are tax breaks available for investors in businesses qualifying for the Seed Enterprise Investment Scheme, some tax breaks are only available in instances in which the gain is re-invested within a specific amount of time. Increasing this time limit, in addition to increasing maximum investment levels, may make investing in businesses under the Seed Enterprise Investment Scheme, more advantageous and enticing for potential investors. As traditional forms of funding have been limited for businesses, new forms of funding have emerged. Crowd funding, for example, is proving to be a popular method of alternative funding for businesses. However, as new types funding and investment opportunities develop, it is essential that the Government responds quickly and enacts appropriate and effective regulation. By supporting new funding methods and investment opportunities, the Government can support both new and existing businesses, ensure attractive investment opportunities are available as well as encouraging economic and fiscal growth within the UK.